To get one of these badges, it's best if it comes attached to one of these. 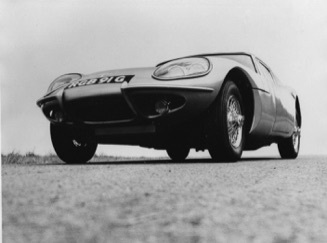 The Marcos GT first appeared in 1964 and production of the 'traditional, Marcos finished in 1992 although two additional models, the Martina and Mantara continued in production until 1998. After this the cars made by Marcos retained a similar silhouette but were more 'rounded' and had extended curves and bumps. We'll deal with those cars later and concerned on the early cars to start with. Depending on the age of the car your thinking of buying it could be over fifty years old and in that time the raw materials as well as running gear that cars used, have come a long way. Manufacturing techniques in fibreglass were in their infancy in the 60's and it can show! "Fibreglass cars don't rot so what's the worry?" Don't believe it, you need your wits about you when buying one of these cars otherwise you could end up paying a fortune to get what you thought was a classic runner, anywhere close to a usable car. 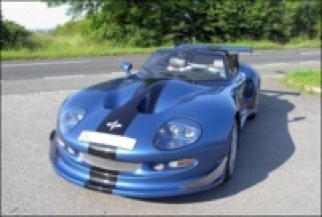 Buyer beware is always a good attitude to take and don't be fooled by the curves and beauty of these cars. We'll try to point out soem of the things to look for when buying a car, and although we can't tell you not to buy, we can prepare you with a little bit of knowledge for your crusade. Seek advice, contact the Marcos Owners Club for help when buying a Marcos or for full build history of a car, contact Marcos Heritage Spares.